SWAJA is always accepting financial donations! All gifts are tax-deductible. All cash gifts should be submitted directly to the school office. Robotics and Technology Initiative, Phase I and II:We are in need of $15,000 to start a robotics program, through the FIRST LEGO League, for our students. These funds will allow us to register the teams, purchase the required LEGO kits, buy technology, such as iPads/laptops, for programming purposes, and provide the means for one team to travel to and compete at the qualifying round for the league. Playground: In Texas, we are blessed to be able to enjoy many days of warm sunshine. The only caveat to this, as it relates to play, is that the sun greatly increases the temperature of playground structures and equipment. We would like to make the children more comfortable by providing a canopy for shade and safety. Initial research places the price between $3500-$5000. However, we are still in need of raising more. We want to ensure that we have enough money to finish this project and begin phase two: installation of a swing set. School Bus: A school bus is a necessity for a program like ours. We depend on having transportation to make new discoveries outside the school walls. Textbooks are only one medium for learning here! Help us secure a new set of wheels that will get us back out on the learning trail! Outside of these clearly defined goals, we are always in need of donors to support the tuition needs of current and prospective students. Your donations will help us to meet financial obligations that make our school a better place for our children. Thanks for your help! Please email (fundraiser@swaja.org) if you have any questions or just want to turn in your donations. Feel free to turn in donations directly to the school as well. Click on each tab to read how you can help us raise money. SWAJA Home & School is requesting your continued assistance in the collection of Boxtops and Labels for Education. These items are being used to help raise funds for our school. Boxtops can be found on many everyday items, so pass the word along. 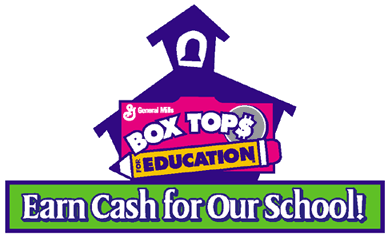 Please keep in mind that if you shop online you can earn box tops for our school. Just visit www.boxtops4education.com to find a list of items and set up an account to become an online power earner. North Texas Giving Day is an online giving event that provides nonprofits the opportunity to gain exposure to — and start relationships with — new donors, and for people in North Texas to come together to raise as much money as possible for local nonprofits. This year SWAJA is raising money for a playground canopy. We don't want the new playground to go unused because the structure is too hot. Spread the word! We need help raising funds! 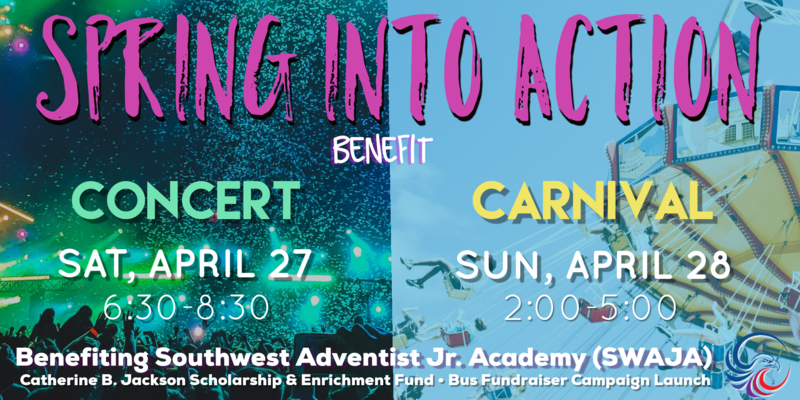 More details on how you can give as the day nears. One day only event...mark your calendars! The Givelify app makes it easy to give any time, to any initiative. You can use Givelify to support current and prospective students with tuition assistance as well. Giving is EASY with Givelify! Click below! 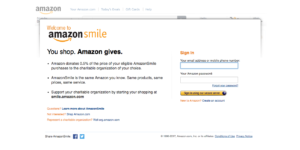 Do you utilize Amazon to make purchases? Did you know that you can financially support SWAJA by making an everyday purchase? 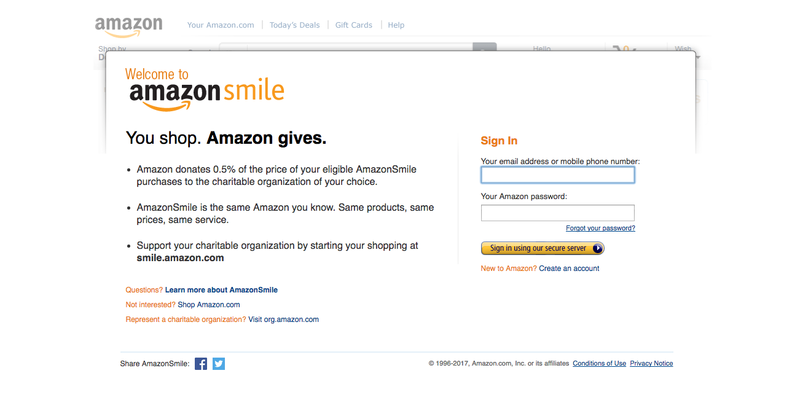 Simply sign-in to Amazon Smile, shop like normal, and watch some of your money go to your favorite school...US! It's that easy!! Click on the picture below for more information!